In every piano season, I receive at least one phone call from a parent telling me that one of my students has broken their arm. (Last season three students were wearing casts at various times!) Naturally, everyone is wondering what to do about piano. I can reassure everyone that the student should continue to attend lessons. While we do need to make some adjustments to lesson plans, there is a lot we can cover while we wait for the cast to come off. I shift the focus to theory and ear training. We have the time to study music history and listen to recordings and sight read scores of important works. And did you know there is a large repertoire of piano music written especially for one hand? Many pianists have been injured due to war or illness. Janina Fialkowska is a Canadian pianist known for her interpretation of Chopin. Her career was in jeopardy when she had a cancerous tumour removed from her arm. She has made an amazing comeback. 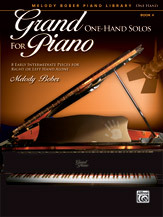 I recently added to my music library: several volumes of Grand One-Hand Piano Solos written by Melody Bober, published by Alfred Music. Half of each volume is written for left hand, and the other half is written for right hand. We’re ready for anything! 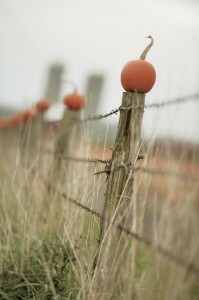 That’s your head on your spine – a pumpkin on a stick – and it’s heavy. If the head is balanced, everything is fine. If it’s unbalanced, the body will compensate in some way which leads to tension. Pianists play the piano with their whole body. At today’s group class we talked about how we move our bodies to play the piano. Our discussion was taken from the book What Every Pianist Needs to Know About the Body, by Thomas Mark. We looked at the human skeleton and its points of balance. We talked about bench height and how to balance on the bench. And we moved! to become more aware of our how bodies work. It’s all about moving in a free and easy way to eliminate tension because removing tension yields good tone and avoids injury.